It’s a strong exit for a VC-funded solar hardware startup. Downstream solar in the U.S. is getting hot. SolarCity (SCTY), distributed energy pioneer and financier, has acquired Zep Solar, an innovative solar-module mounting startup, for $158 million in SolarCity stock. Rive was speaking of Zep, the leader in rail-free solar mounting systems and then already a valued supplier to SolarCity. It's estimated that Zep has a 30 percent market share in residential solar mounting. Zep's innovative mounting product now comes to SolarCity at cost, while other installers will soon be SolarCity's customers. And now, at least part of SolarCity's financial structure and cash flow can be understood by mortals and will not require ninja accountants or the Department of the Treasury. Zep's CEO Mike Miskovsky noted, “We achieved profitability this year." 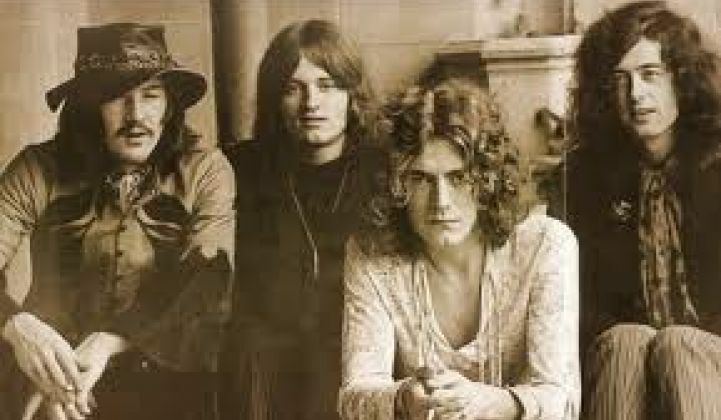 Zep's revenue comes from the sale of hardware to support the Zep Groove mounting system, and to a lesser extent, from licensing. The firm's licensees include solar vendors such as Yingli Solar, Canadian Solar, Trina Solar, and ReneSola, some of which supply modules (and now license fees) to SolarCity. To date, most of Zep's business has been in the United States. The Zep Groove makes the panel itself part of the racking hardware via a specially grooved frame, eliminating rails and using the module frame as the structural and mounting element. That special frame does not come from Zep -- rather, it comes from a panel vendor that has licensed the Zep design and the aluminum die. Zep will maintain its brand and operate as an independent business unit after the acquisition. 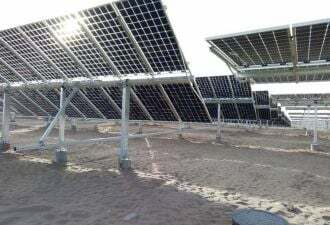 Zep's design and its acquisition by SolarCity have changed the mounting market landscape for vendors such as Unirac and Schletter, as well as SunLink and PanelClaw. "Zep's IP integration into the PV module manufacturing process is a key barrier to would-be challengers and also a likely a key factor in the valuation," said MJ Shiao, Senior Solar Analyst at Greentech Media. Zep's CTO Jack West evolved the rail-free concept while working as a solar system designer and installer in the late 1990s. The company has its headquarters in Northern California and parallel supply chains in the U.S. and the Shanghai area. We spoke with Lyndon Rive, SolarCity CEO, Tanguy Serra, SolarCity’s EVP of operations, and Zep's Miskovsky yesterday on the phone. Rive said that the Zep system "doubled throughput" and brought down the time of install from two or three days to less than one day, adding that it "looked better and made for a better customer experience." Serra said in a release, “Zep Solar’s product allows each of our crews to install significantly more solar every day, and it looks better on the roof than any comparable product we’ve seen. By acquiring Zep Solar, we can deliver solar electricity at a lower cost than was previously possible." Rive and Miskovsky referred to the Zep IP portfolio as a valuable asset, with Miskovsky noting it had been "battle-tested" in its patent confrontation with Westinghouse Solar. The Zep platform will be offered to installers in Australia, Germany, Japan and the United Kingdom. GTM's Shiao notes that penetration might be more challenging in Europe "given the incumbents and far more mature mounting-product landscape in those geographies." SolarCity is buying. The company acquired lead originator Paramount for $120 million in August and profitable balance-of-system innovator Zep today. Who's next? More customer acquisition firms or financing companies? An inverter company? Friction's ahead. Zep is a supplier to Vivint Solar, the second-largest solar installer behind its new mounting-equipment-supplier, SolarCity. Be on the lookout for friction between SCTY/Zep and Vivint and other installers. Vertical integration works. Vertical integration seems to be working well in the U.S. for the top-ranked solar installer, SolarCity, and for the second-ranked solar installer (Vivint). Is vertical integration the only efficient path to scale in the residential solar business? Venture capital exits on the rise. Ecosystem Integrity Fund led a $7.4 million round A along with some family office investments in September 2010. Later rounds were not disclosed. In any case, this looks like a compelling multiple for a VC-funded startup exit, and another positive note for investment in U.S. residential solar, which is currently running strong. Rob Day of Black Coral Capital notes, "This is another sign of a heating-up market for cleantech exits, especially in downstream solar. I expect to see continued consolidation in this industry. This acquisition is a fit with SolarCity's vertical integration strategy, but I would be surprised if they weren't also planning to acquire other solar financing and energy efficiency service platforms."